Karnataka 2nd PUC Results 2019: Karnataka Secondary Education Examination Board (KSEEB) has conducted 2nd PUC exam for the students of the state in the month of March this functional year. As always lakhs of students have appeared for the 2nd PUC exam conducted by Karnataka board. Now the Karnataka board is all psyched up to release the 2nd PUC results 2019. KSEEB every year conducts PUC (Pre-University Certificate) examination for the students of the state in the month of March. Likewise, this year too it has conducted 2nd PUC exam in the month of March. Students have taken the exam in huge numbers and are now eagerly waiting to know their results. Karnataka Secondary Education Examination Board (KSEEB) has finalized the date of PUC results release. It has officially announced that it would release the results of PUC exam 2019 in the month of May. It has finalized on the date of results release and announced it officially. It is all set to release the results of Karnataka 2nd PUC examination on 15th April, 2019. Every year large number of students takes this 2nd PUC exam. 2nd PUC exam is conducted in various streams like Arts, Science, and Commerce. Students from various streams appear for this exam every year. Students who have plans to do under graduation in various universities and colleges need to qualify in this exam conducted by Karnataka Board. Qualified candidates of 2nd PUC exam will be allotted with seats in various under graduate level colleges in the state. As the exam is completed successfully all the candidates who have given the 2nd PUC exam under Karnataka board are eager to know their results. It is said that the results are out on 15th April, 2019 as per the board. It is a state level exam that is conducted only in the state of Karnataka. Karnataka 2nd PUC exam was conducted in the month of March this year for which lakhs of students have appeared for exam that was conducted in various centers of the state. Candidates who have appeared for the Karnataka 2nd PUC exam are very anxious to know their results. The Karnataka Secondary Education Examination Board (KSEEB) has finalized on the date of results release and also officially announced it. Now all the students who have appeared for the 2nd PUC exam this year are suggested to visit the official site of the board to check their results. Candidates can directly visit the official site of the Karnataka board to check their 2nd PUC 2019 results once the results are out. The official site to check 2nd PUC results is karresults.nic.in. Students can also visit our page to know more latest updates from the Karnataka board about PUC exam results. We will update our page every now and then with the latest updates. So, keep following us. Karnataka Board has held the 2nd PUC exam in the month of March this year. Karnataka Secondary Education Examination Board (KSEEB) has conducted PUC board exams for students studying in various affiliated colleges around the state in the month of March. The exams were successfully completed and now the board is thinking of dispensing the results of 2nd PUC exam, which is conducted for various streams like Arts, Science and Commerce. Now the board is all prepped to release the results and has announced that it is going to release the results of Karnataka 2nd PUC exam on April, 15th 2019. Candidates who have appeared for the exam conducted by Karnataka board are tres eager to know their results. The board has announced that the results will be out on Month of May through its official page. 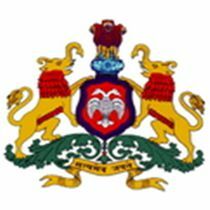 The Karnataka board manages and maintains its own web portal through which it announces the results every year. This year too it is getting ready to release the results of 2nd PUC through its official web portal. All the students who have appeared for the 2nd PUC exam conducted by KSEEB are advised to visit the official site of the Karnataka board i.e. by- on month of April to check their results. There are lots of expectations on the students who have appeared for the Karnataka PUC exam. Students can check their results by visiting the official site of Karnataka Board. The time and date has been officially announced by the board, so students can directly go visit the official site of the board by the time mentioned to check their results instantly. Students need to get ready with their roll numbers and other particulars to check their results online. The official site of the Karnataka board where the 2nd PUC results are available is karresults.nic.in. Candidates can also check their 2nd PUC exam results by visiting the other sites. There are many other sites that provide results to the students. They are trustworthy and provide the results as soon as they are out in the official site. Students can check their results in any site as per their convenience. We suggest all the students to be on time on the official site to check your results immediately after the board releases them. How to check Karnataka PUC results 2019? We have written simple steps on how to check Karnataka PUC results 2019 below. Follow the steps we have mentioned below to know your results. In the official site search for the link Karnataka PUC results 2019. Click on the results link and you will be directed to the results page. You have to choose your stream now. Add the particulars asked in the page like roll number, name and other details if any and press on submit button. Once you click submit button your result will appear on the screen within second’s time. Download the result or take a print out for future use.